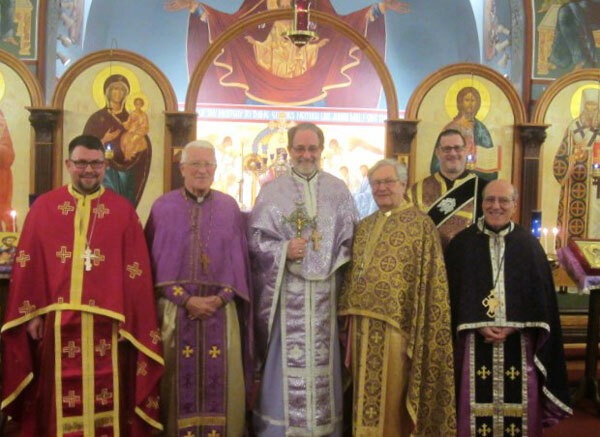 On the first Sunday of Lent, Orthodox Christians celebrate the official declaration of the 7th Ecumenical Council 787AD that the veneration of Icons is not the worship of images as the 2nd commandment describes. 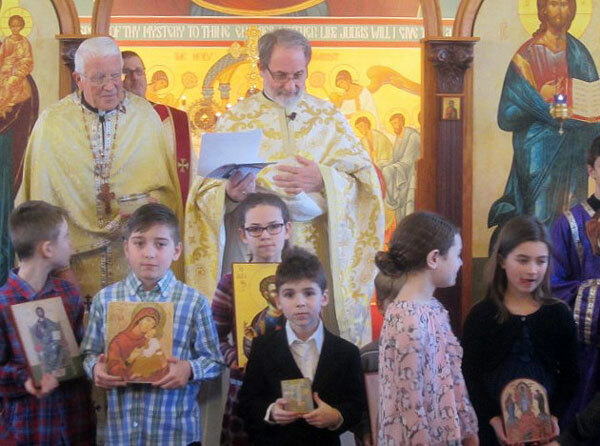 To celebrate the event, the children of St. Luke held a procession of Icons, ( See Iconography) while the choir sang the hymn of the event. 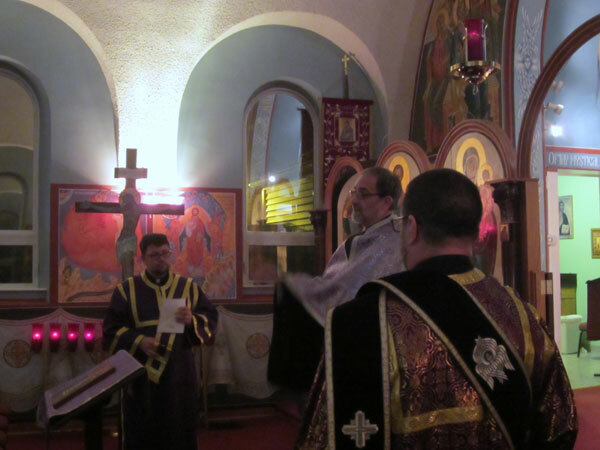 At its conclusion the proclamation of Orthodoxy and Creed were recited. As the Prophets beheld, as the Apostles have taught, as the Church has received, as the Teachers have dogmatized, as the Universe has agreed, as grace has shown forth, as Truth has revealed, as Falsehood has been dissolved, as Wisdom has presented, as Christ awarded; Thus we declare, thus we assert, thus we preach Christ Our True God, and honor His Saints in words, in writings, in thoughts, in sacrifices, in Churches, in Holy Icons; On the one hand worshipping and reverencing Christ as God and Lord, and on the other, honoring the Saints as true servants of the same Lord of All, and offering them proper veneration. 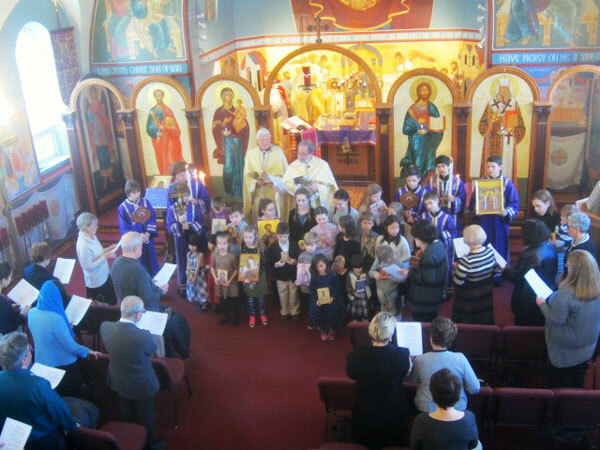 The Sunday of Orthodoxy was celebrated at St. John’s Chapel. 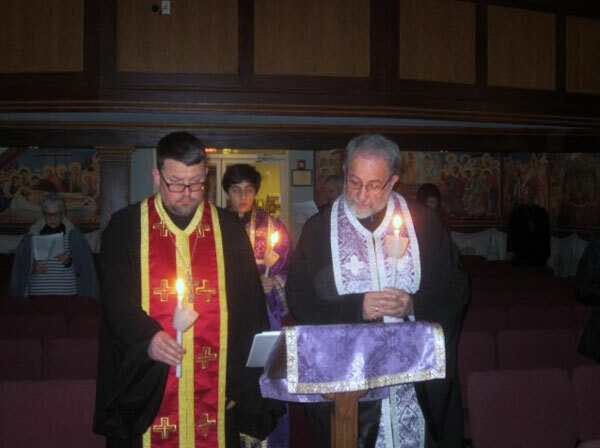 On Wednesdays during Lent the Presanctified Liturgy is celebrated. 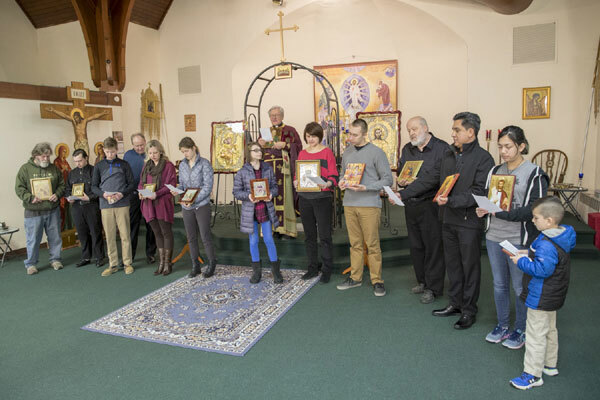 The word Presanctified refers to Holy Communion which has been consecrated on the Sunday before and distributed at the Presanctified Liturgy. 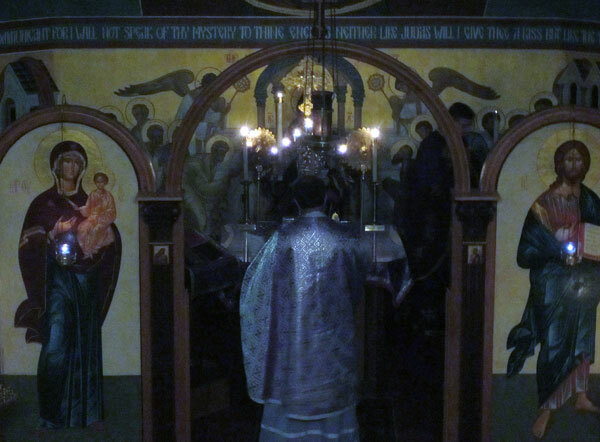 One of the special features of this liturgy is the solemn blessing with a single lighted candle by the Priest who announces “The Light of Christ illumines all!” The faithful make a prostration. The scriptural readings are from Genesis, Exodus, Isaiah and Proverbs signifying the preparatory nature of this service. 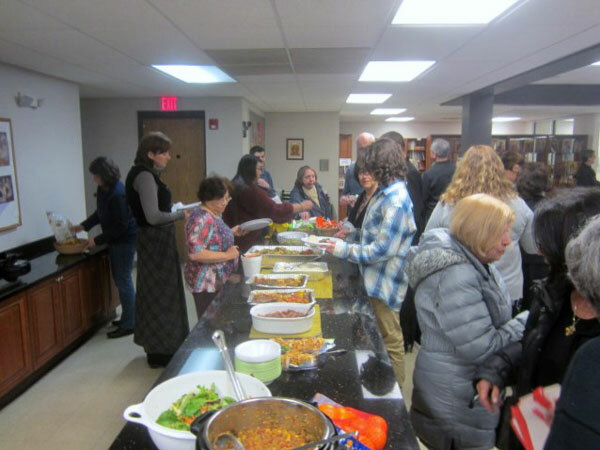 Following the service all are invited to join in a pot luck lenten meal. Refrain: Have mercy on me O God, have mercy on me. 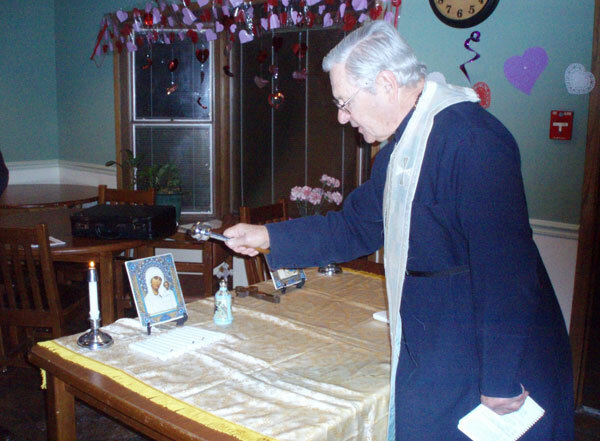 On Wednesday evening the Canon of St. Andrew was held at the St. John’s Chapel in New Lenox with Fr. Andrew presiding. 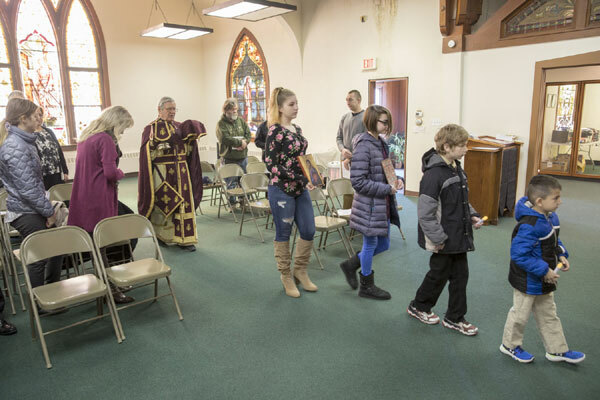 The first service of Great Lent is called Forgiveness Sunday Vespers. 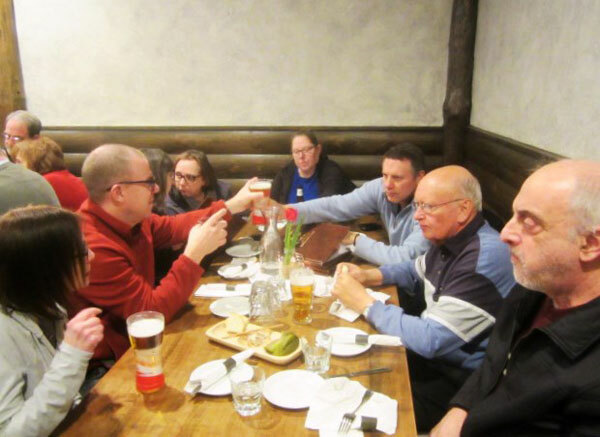 It is a standard Lenten weekday evening service. 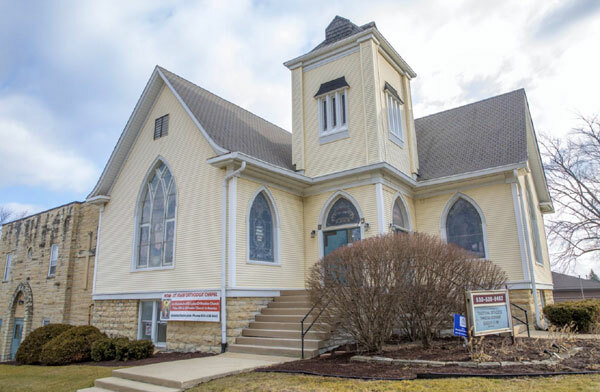 The verses sung refer to beginning Lenten fasting (Parish Info: Fasting) overcoming sin and of spiritual growth. 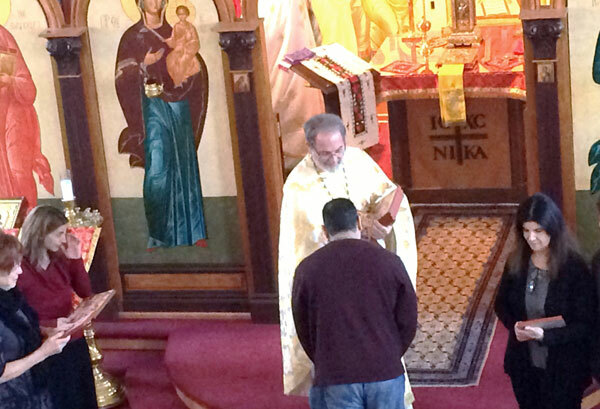 The service ends with the prayer of St. Ephriam the Syrian that asks God to take away various passions and give various virues with a special emphasis on forgiveness. 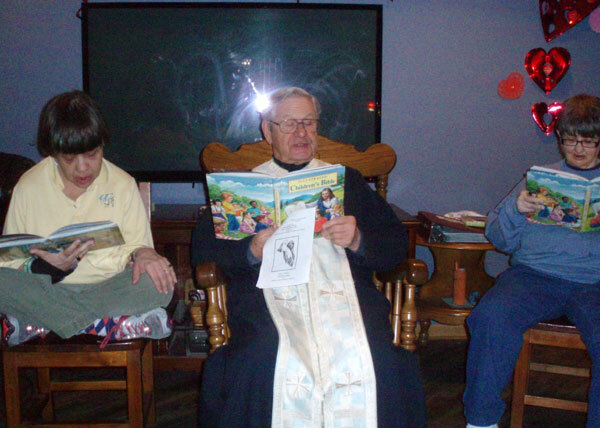 At the dismissal Father Paul spoke about forgiveness. 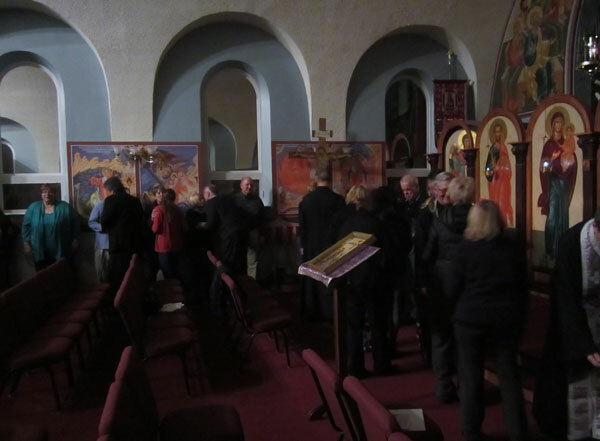 Then the parishioners one by one asked each other for forgiveness. 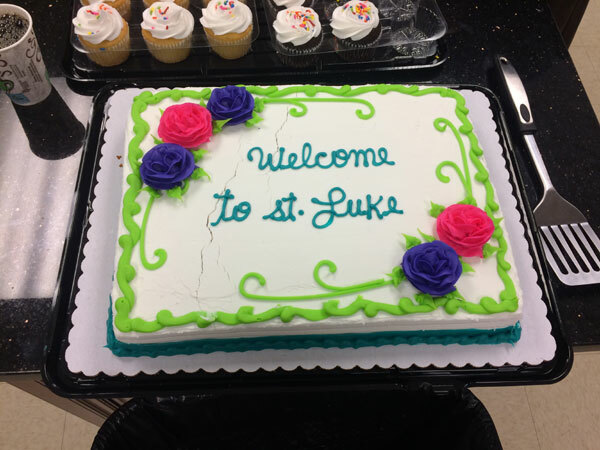 This Sunday following Liturgy, St. Luke Parish welcomed all the new members that joined during the past year. Here Fr. 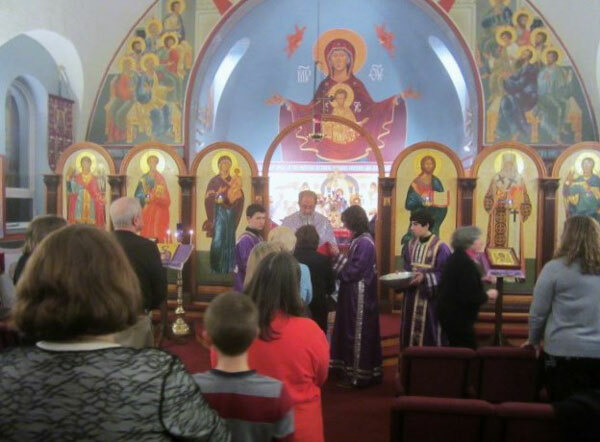 Paul presented each new member with an icon. The congregation then enjoyed a luncheon complete with cake. Fr. Andrew started our visit with the story of Mary and Joseph bringing the Infant Jesus to the Temple in Jerusalem when he was forty days old. There they encountered Simeon, who had been promised that “he should not see death before he had seen the Lord’s Christ,” Simeon was filled with joy at the sight of Jesus and then said, “Lord, now lettest thou servant depart in peace, according to thy word.” The elderly Anna was also in the Temple and offered prayers and praise to God for Jesus. With prayers, Fr. 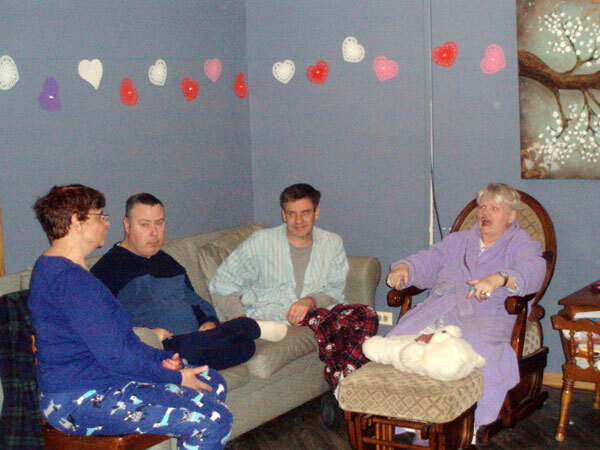 Andrew blessed the resident’s candles. 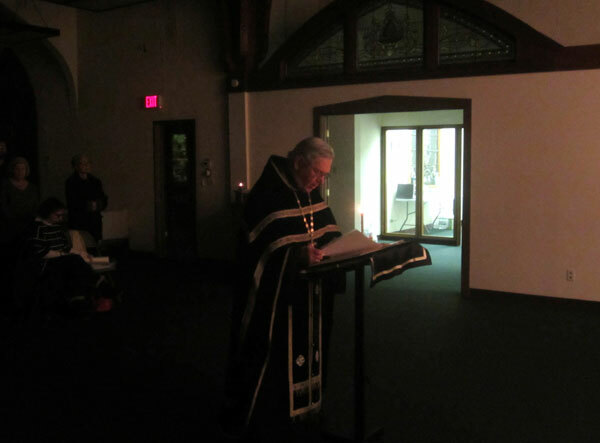 Lighting a candle reminds us that Jesus is the light of the world. Whoever follows Him does not walk in darkness but has the light of life (John 8:12). Our evening ended with singing Happy Birthday to Stephen. 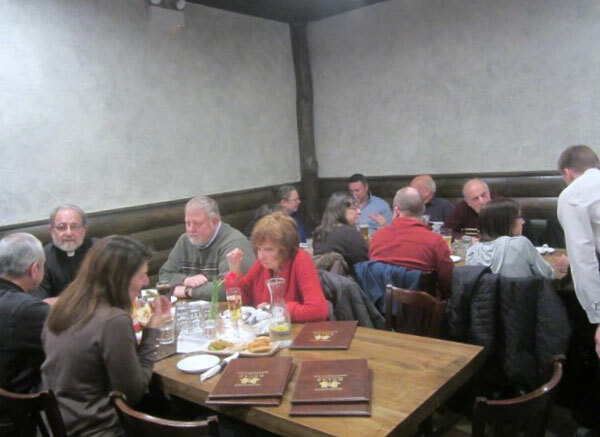 He celebrated his 52nd birthday earlier with pizza and chocolate cake. 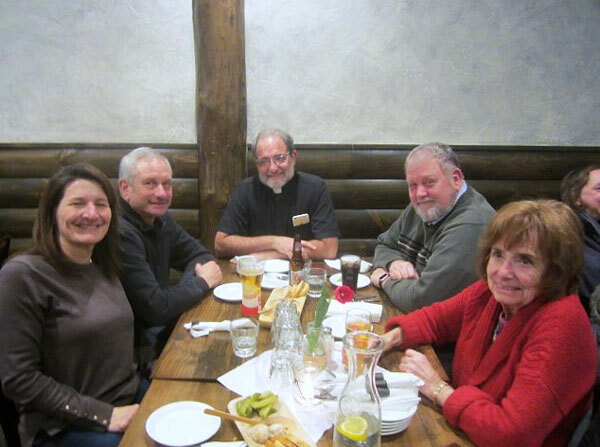 This month our “Food For The Christian Soul Ministry” visted Highlander House in Palos Heights. 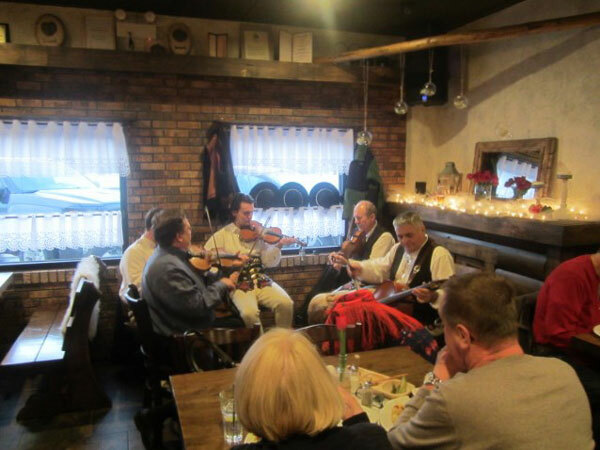 Specializing in Polish food, it is a very popular place and even had roving musicians. 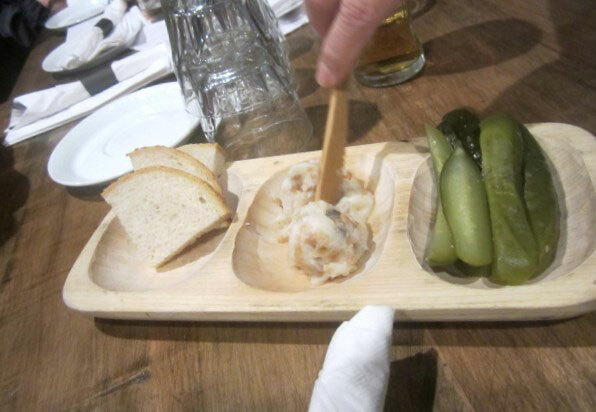 Appetizers included beets, cucumbers, sauerkraut, pickles, and bread with a lard based spread. 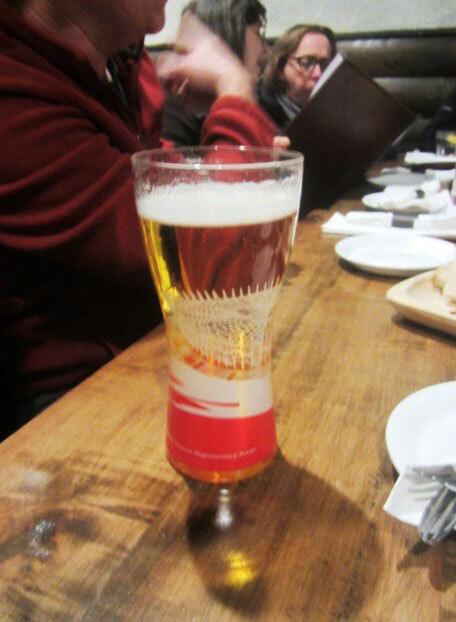 Various different beers were sampled. 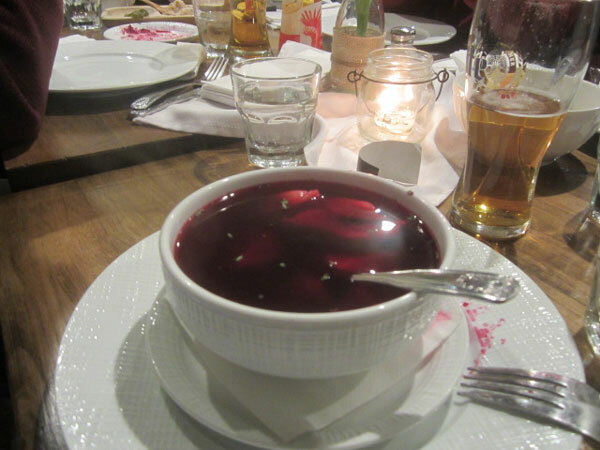 Borscht soup was served as well. Our group decided to go with family style. 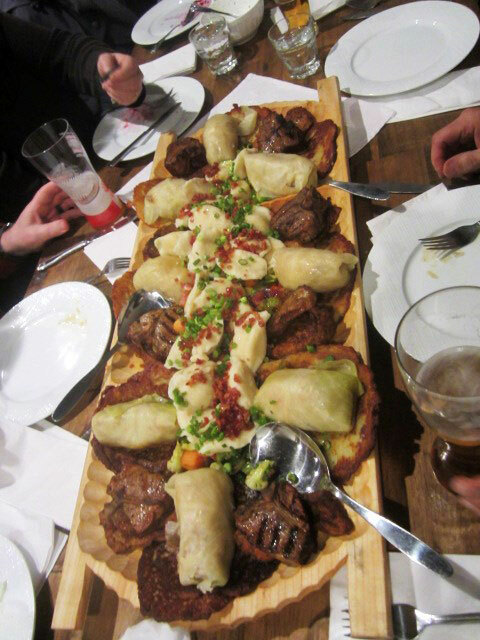 The platter included lamb, pork, stuffed cabbage, potato pancakes, and pierogi. Once again a great time for all and hats off to ministry leader, Matt. 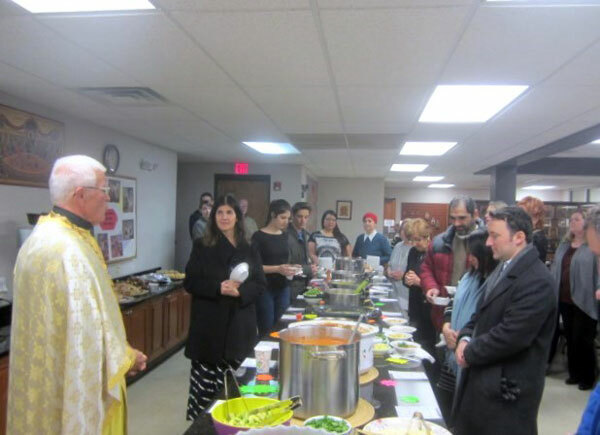 Sunday following Liturgy our mission team held “Soup Sunday”. Fr. Howard here blesses the various soups. Proceeds from the event will go to help sponsor our mission teams.